Your spot looks very cozy! 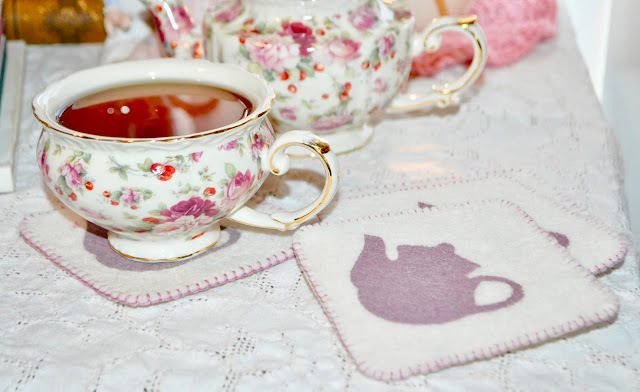 Taking tea is such a perfect way to spend part of the day. Have a Happy Valentine's Day! May love and joy always be yours. What a beautiful spot! And that's a great idea to put a muffin recipe in a big pan. I might have to try that some time. The stack of tea books caught my eye as I have pretty much the same ones! I love your spot there. Very cozy and inviting. Thank you for sharing and linking! How lovely! 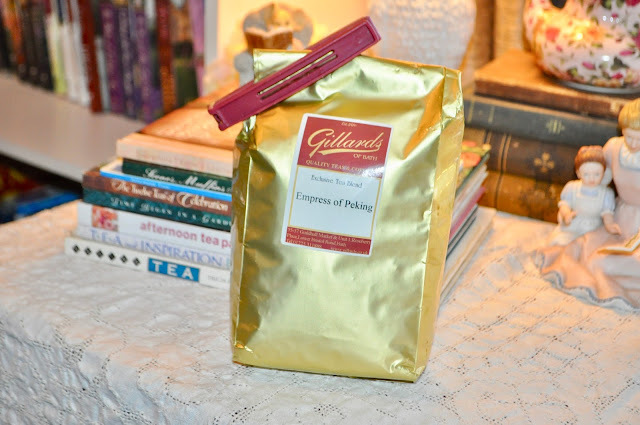 Tea and books are the perfect combo! 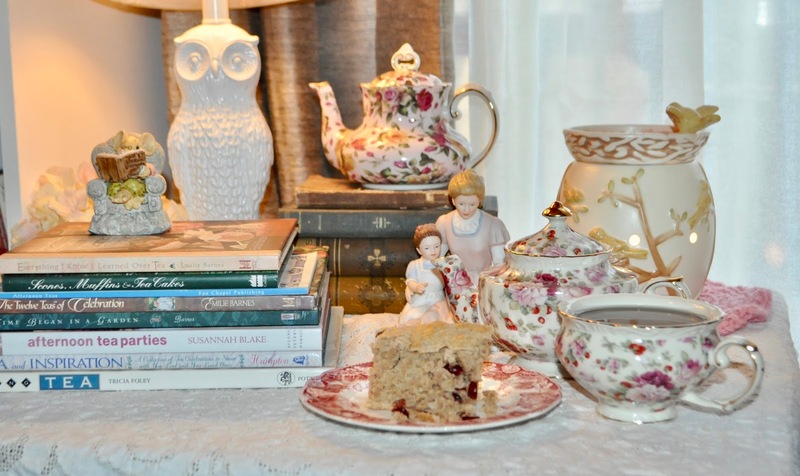 Sarah, a house is not a home without tea and books! What a cozy spot! I love your time-saving idea of baking your "muffins" in a 13x9x2. That does look like a cozy reading spot. I'm working my way through Mansfield Park these days. I love the shape and pattern of your tea set. 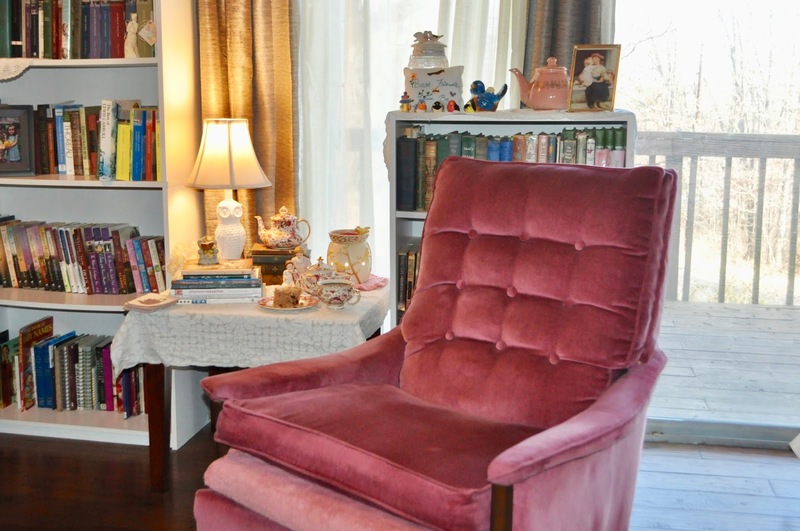 Sarah, your reading nook is charming and that tea bread looks delicious! Thank you for sharing @Vintage Charm--pinning to our Features & Favorites! 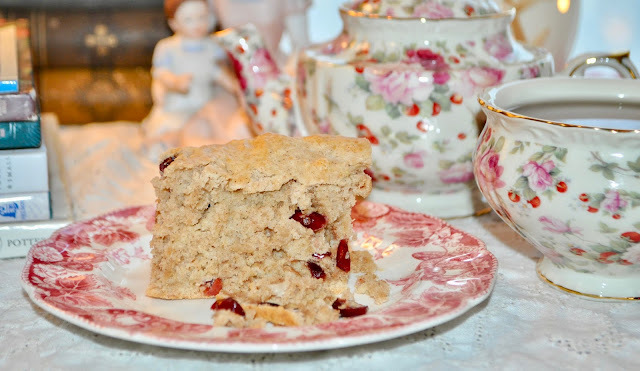 Your tea bread looks delicious and the tea set is so pretty! Thanks for sharing at Home Sweet Home! What a peaceful spot you've made. Enjoy!